The Saxons are coming! A new interactive gallery is to be created at medieval Tamworth Castle in Staffordshire devoted to the town's rich Anglo Saxon history, as well as the recently discovered Staffordshire Hoard of Anglo Saxon gold and silver treasure. The family friendly gallery has moved a step nearer to being created thanks to the awarding of a £499,900 grant from the Heritage Lottery Fund, from money raised by players of the National Lottery. In Anglo Saxon times, Tamworth was a vitally important centre at the heart of the ancient kingdom of Mercia. As far back as the 7th century, Tamworth was the principal royal and administrative centre of the Mercian kings. It is believed that Tamworth had a major royal residence or palace. In 874 Tamworth was attacked and destroyed by the Vikings and by 911 the town had become a border town between the Danelaw and the English. However, in 913, Athelflaed, daughter of King Alfred the Great, who became known as the Lady of the Mercians, re-fortified Tamworth after the Anglo Saxons had driven the Vikings out of the region. 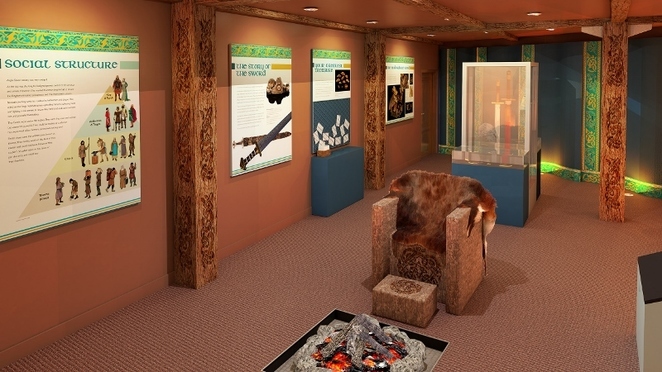 The project at Tamworth Castle will create an innovative and engaging permanent exhibition exploring and celebrating this important Anglo Saxon history. The exhibition will showcase pieces of the Staffordshire Hoard and artefacts from Tamworth Castle's collection. It will explore many exciting aspects of the Staffordshire Hoard including themes of battle, Kingship and the warrior culture in Anglo Saxon Mercia. The first stage of the new gallery, known as the 'Battle and Tribute Project,' was awarded a £55,500 development grant from the HLF and £13,900 in funding by Tamworth Borough Council, to enable full research and development of the project. The new exhibition will look to include a Battle film experience, a Mead Hall or Saxon Palace, and an interactive battle touch-table game. Displays will help link the story of the Staffordshire Hoard to everyday Saxon life and culture of the Mercian Kingdom. The exhibition, which will be on the top floor of the castle, will be interactive and family orientated to suit a range of audiences. 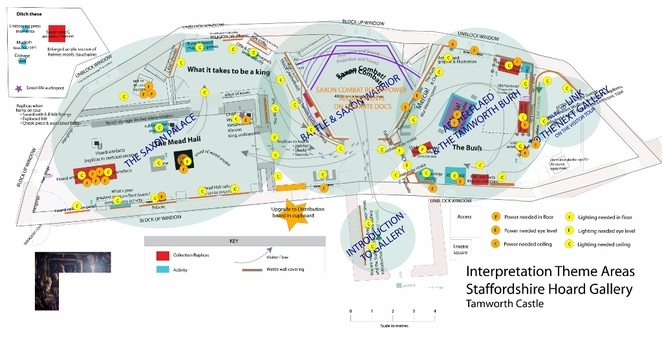 Displays will examine the battle connections between the hoard pieces and the warring tribal communities that settled around Tamworth and who started to form the Kingdom of Mercia. The project will also involve some conservation work to the castle building and includes work in partnership with Tamworth Town Guides and Tamworth schools to develop accompanying activities including education workshops, living history characters, a Saxon Town Tour and an Anglo-Saxon festival to launch the new gallery. The Heritage Lottery Fund grant forms two thirds of the total cost of the project, which stands at £768,379. The remainder of the cost will be match funded from Tamworth Borough Council, the Ready to Borrow Scheme supported by Arts Council England, and Friends of Tamworth Castle. Councillor Joy Goodall, Cabinet member for Environment and Culture at Tamworth Borough Council, said: "Since the creation of the Staffordshire Hoard Trail and the subsequent exhibition of the Staffordshire Hoard at Tamworth Castle, we have been working towards developing an exhibition that will enhance the hoard display and Tamworth's Saxon history. The first round of HLF funding allowed us the means to explore and develop the most advantageous ways to put forward a comprehensive second bid for funding to now carry out the work. Previous HLF grants have allowed us to carry out essential conservation work on the castle and detailed interpretation development and this latest funding will allow us to offer a state-of-the-art exhibition which will significantly add to the attraction for visitors for years to come. This project represents another huge investment in Tamworth Castle and our wider much-celebrated heritage." 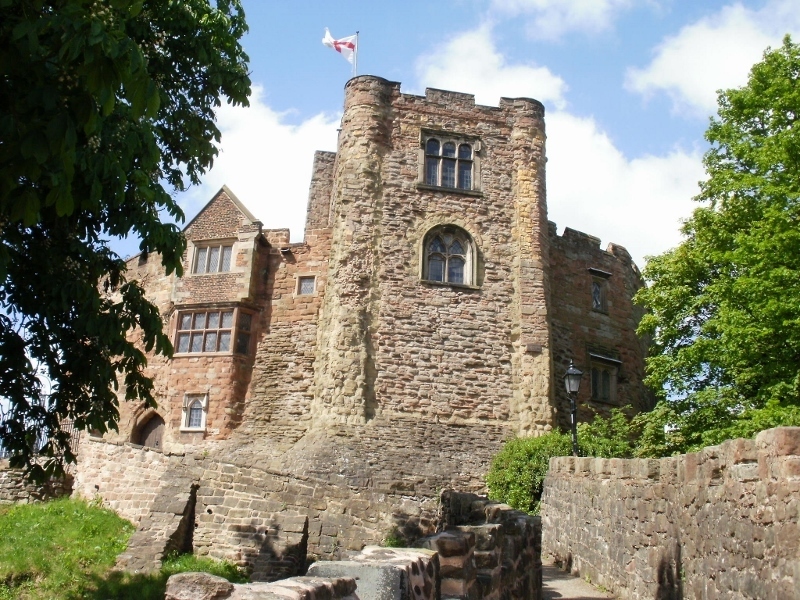 The new gallery will allow Tamworth Castle to fulfil its role as a key venue on the Staffordshire Hoard Trail, along with partners Birmingham Museums Trust, the Potteries Museum and Art Gallery and Lichfield Cathedral. 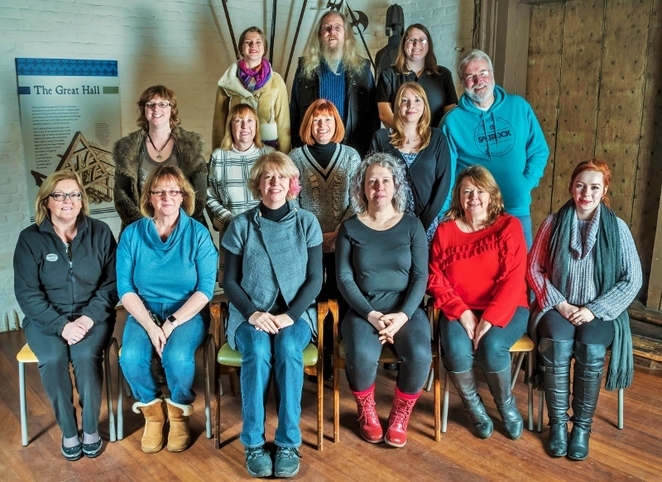 Vanessa Harbar, Head of the HLF West Midlands, said: "We are delighted to support this project, which will create a permanent gallery for objects from the Staffordshire Hoard at Tamworth Castle. This is a fantastic addition to the Staffordshire Hoard Trail in the West Midlands, which also features National Lottery funded displays at the Birmingham Museum and Art Gallery and will mean that more people will be able to get involved with, protect, and learn about the exciting heritage right on their doorstep." The Staffordshire Hoard is owned by Birmingham and Stoke-on-Trent City Councils, and managed on their behalf by Birmingham Museums Trust and the Potteries Museum and Art Gallery, Stoke-on-Trent.